Join us for CBCIL’s 2nd Annual V-Day Rebellion Social! Ditch the date and join us for some good food and karaoke on Friday, February 9, 2018. 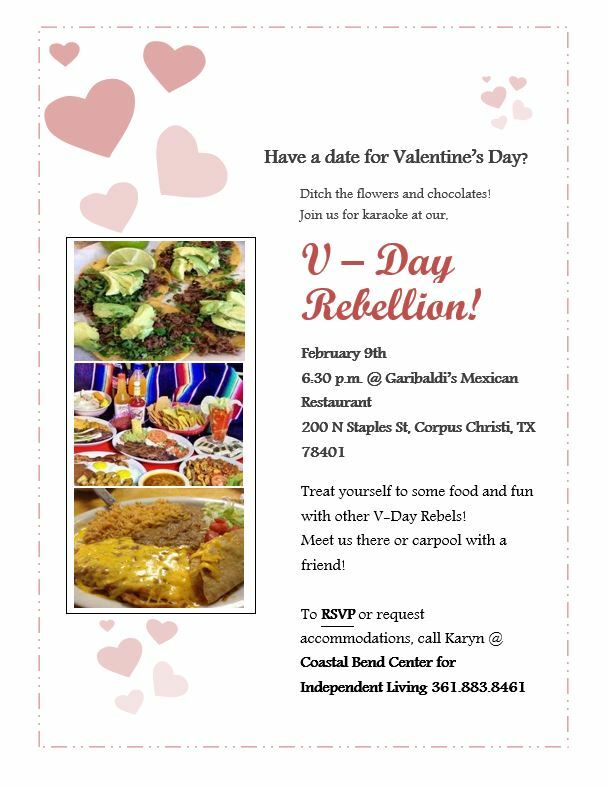 To RSVP or request accommodations contact Karyn at 361-883-8461.Please click here for more information.